In the coming weeks I will be posting up some reviews of whiskies from the Kilchoman, Isle of Skye, Smokehead, Arran and the Chieftain’s range of single cask whiskies from Ian MacLeod. Reviews of whisky is what you’ve come to expect from me so, there’s no news there. The news is that I’ve recently signed on with Impex Beverages, importers of the aforementioned whiskies, and will start hosting whisky tastings/seminars for them (mostly in Connecticut). This is a side gig for me, by the way (yet one I am very proud to be a part of). I’m keeping my day job. I tell you this news because I need to remain upfront and honest with you. 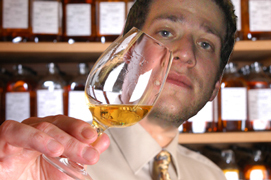 With regards to whisky reviews, things will remain the same here at the JSMWS blog – open, honest and unbiased. I’ve told the good folks at Impex Beverages the same thing. If I love something, I’ll review and report it that way. The same goes for whiskies I like, sort of like and dislike. You can chose to believe that things will remain the same (which I hope you do) or not. That is up to you. Either way, as I mentioned in my “Where I stand” post back in October of 2010, when I do reviews from samples given (even if the samples are from companies I work with) the reviews I do are mine and will not be swayed one way or another by outside forces. Happy dramming folks – as always, I really appreciate your readership, support and loyalty to the blog. 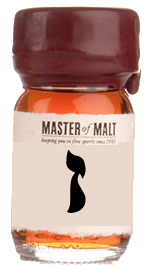 Master of Malt Bloggers Blends – my tasting notes on the whole she-bang! This was one hell of a feat, I tells ya! My charge to myself: taste ten whiskies over two days WITHOUT getting tipsy – a lot to review but a ton ‘o fun to do. 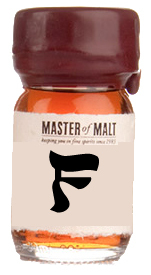 You might remember I posted on the details of the Master of Malt Blogger’s Blend contest a few weeks back (a brilliant idea – find 10 whisky bloggers and ask them to try and create the ultimate whisky blend). I hope some of you out there had a chance to participate in the contest. Sadly the voting is now closed, but Master of Malt made some more sets (they did sell out for a bit if I’m not mistaken but are stocked up again) for you to buy then try. It was a fun tasting experience. On the nose A – Both sweet and peppery at the same go. Some lemon tart sweetness and a tad dusty. A touch smoky but it’s all around the edges – crispy burnt edges. Twine & paper bags. On the mouth A – Nice soft mouthfeel, honied and a bit of toffee upfront. Milk chocolate, raisins and nuts (I’ve gotten this in a few other whiskies before – Cadbury Fruit & Nut Bar). Second sip is offering up some clear notes of tobacco and just-lit-cigars. Like on the nose, there’s a crispiness around the edges (think pepper-rubbed foods). Finish A – Chocolates and pepper and lasting tobacco. On the nose B – A touch sour and bit vinegary. Band-Aids. Salted corn (? )… something salty. Let’s see if I can make sense of it after I get a taste. Back to the nosing: Salted fruits – clear note of papaya. Pepper & dark chocolates. Ginger root. There appears to be a good deal of grain influence on this one. Finish B – Shortish with hints of oak. On the nose C – Very sweet with loads of fresh cherries and other red fruits. A good deal of oak but in a good way. Salty and floral (like mother’s day flowers). Back to the red fruits (raspberries?). Some black pepper and perhaps a little pear. On the mouth C – Smokey entry (this’ll grab you but good) and very viscous chewy, chewy mouthfeel. Dark chocolates, tobacco (dark tobacco cigars filled with spice). Buckwheat honey (the dark syrupy sweet stuff). A bit of citrus (burnt) and salted grapefruits (focus is more on the salt and less of the grapefruit). Perhaps even some coffee in there too. There’s a lot to discover here. Finish C – Medium to long with a good deal of spice, chocolates & fizz. On the nose D – Honied, floral and has some notes of pomegranate and some cardamom in the distance. A touch of smoke – very inviting; drawing me in. Some sour notes. Some sour cherries too. A touch of spice to it but more on the fruity side. 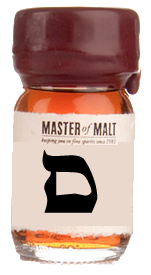 On the mouth D – Cereals, malty and a bit of smoke. Rolled oats. Decent mouthfeel. Not overly complex but enjoyable. Some very light oak and honey notes. Finish D – Fairly quick finish with some pepper lasting just at the back of the throat. On the nose E – Seems to be a theme here with the sour cherry notes. Some added vinegar. Burning twigs and leaves. Red wine and apricots. Some nail polish remover. Smoked lemons. Really enjoyable nose. On the mouth E – Nice creamy mouthfeel with some grain coming through (in a positive way). Sour oranges and tangerines. Some sherry influence – stewed dark fruits. Citrus tarts with a lightly buttered crust. Finish E – Slightly chalky (think Necco wafer chalky). Decent length. On the nose F – Smoky yet some citrusy grain influence here as well. Grilled pineapple and burning bramble. A touch of pepper and some savory spice. On the mouth F – Smoky again with loads of burnt tea leaves. Much smokier than any of the other drams so far. Someone here likes their peat! Apples and the sauce thereof. Stewed carrots with a touch of ginger. Finish F – Toasty almonds (marzipan) through and through with a decent length to it. 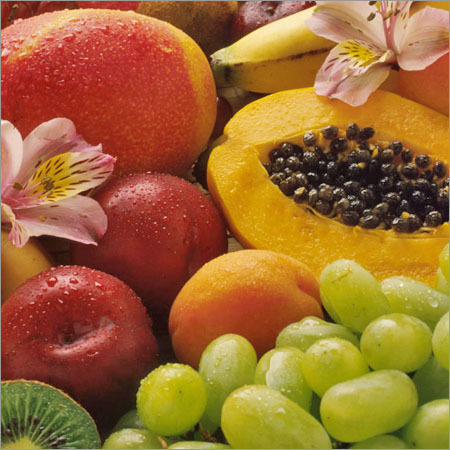 On the nose G – Brown paper bag filled with an assortment of fruits. Vanilla, oak and more fruits (tough to get past the fruitiness of this). A whiff of smoke and the smell of that super subtle taste you get from Jicama. Art class paste. On the mouth G – Warm water mouth feel. All of the flavors seem to be in the distance: Lemons, pie crust and grapefruit marmalade. Vanilla ice cream. Finish G – The finish is a more intense version of what I tasted – near exact. On the nose H – Derumura sugar and spiced rum. Booze soaked oak. Sugar cane. All things dark and sweet. A fantastic nose. On the mouth H – Not as intense as the nose lead on nor as thick and/or oily as I would have expected. A touch oaky and dusty. Wild flowers and various burned things. Citrus spice with a touch of smoked sugar (if there is such a thing). Finish H – Very fruity with some berries and light brown sugar. On the nose I – Light and flowery, salty and flinty. Lemons lurk in the back as do sauna stones. Spiced apples and elderflower. Some graininess swirled throughout. On the mouth I – Smoky and flinty – slightly reminded of Port Ellen here. A very, very light version of Port Ellen, mind you. Coastal & notes of late fall. A bit waxy too. This is delicious stuff. Finish I – Long and warming throughout. On the nose J – Oh, this is a nice citrusy light & grainy blend. Youth & young manhood. Dusty – like an empty room in a old house. Fresh cut grass and baked rhubarb. On the mouth J – Fresh, light and clean – like a Sauvignon Blanc of whisky. Clean & still grassy. Grainy for sure but in a very pleasant way. Balanced and delicious. Finish J – Medium and tangy. Thanks to EM for the sample! On the nose — Fruity and dusty at the same time. A high sweet corn-like note is uncovered after the first sip and is off-set by a slight touch of smoke. 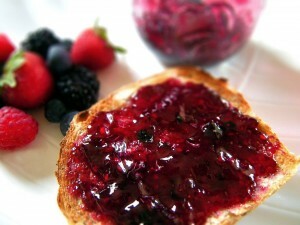 Light berry jam (think a mix of raspberry and strawberry) and a whiff of wood. Jasmine tea (a lovely note). Light sweet butter. A touch of coconut and a bit of pineapple. On the mouth — ***Incredibly thick*** and seemingly growing in volume (perhaps my mouth is watering?). Flat soda. I’m guessed the ABV was pretty low, no more than 43% (EM corrected me, its just over 44%ABV). 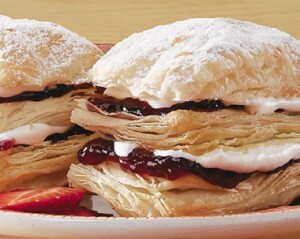 Toasted cream pastries and warmed woody bits. Spicy and spiced notes of fresh and juicy melon. Mango, sticky rice and coconut milk (Thai mango sticky rice). 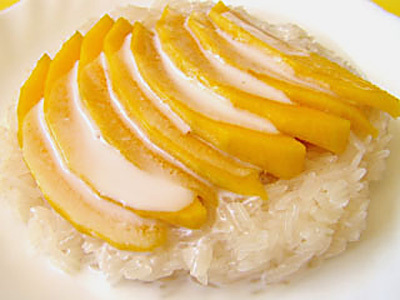 Finish — Fruity & tropical – filled with mango and persimmons. Lasting fruitiness. In sum — A cool mix of fruits, wood, smoke (however slight) and Asian-style goodness. All-in-all a nicely balanced, enjoyable whisky. Perhaps the best thing about this whisky was the mango sticky rice note (I am SO HUNGRY right now). Talk about a smart way to ensure your email gets opened and read without hesitation! Can I tell you how pleased I was to understand, after having read Ben’s email, that I was being asked/chosen (as part of a select few) to participate in a blending and retailing exercise with Master of Malt. Something called “The Blogger’s Blend”. Being a Jew, this is like being part of the Chosen People x 2! 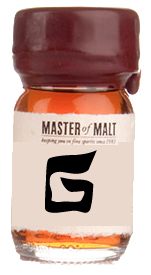 Master of Malt has chosen ten whisky websites/blogs/podcasts/magazines to create a new blend. Each of us chosen will receive multiple/various samples and blending equipment to construct our own, unique blend. Once the blend has been perfected (in the eyes of the individual blender) MoM will reproduce all ten recipes and make fun ‘Drinks by the Dram’ sized samples for the general public to try. 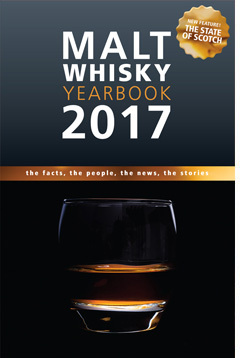 Then you, dear reader, will get to pick which of the ten whiskies is the best of the bunch. 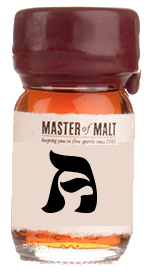 That winning whisky will then be mass produced into a standard, yet Master of Malt Exclusive, full size bottle of whisky available to anyone who shops at the Master of Malt online shop. 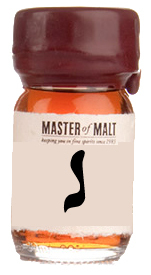 The guys at Master of Malt have more smarts than they know what to do with! Or as my Great-Grandma Betty would say: they’re smarter than two books! 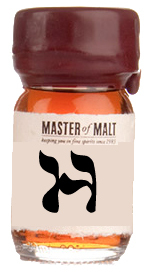 There will be both malt and grain whiskies provided for mixing purposes. We don’t know any of the names or ages of the whisky samples Master of Malt is providing. We were provided with a pricing calculator for the whiskies to help us figure out how much the final blend we create will cost. This will allow us to blend based on price, quality and/or a mix of the two. The suggestion from MoM is to go for quality first. Noted. All of the blends that you’ll be tasting, when it comes to voting time, will be blind labeled – you wont know who made what blend when you’re tasting it. That’s really about it. There will be more details but right now, I’ll leave you to let your mind go wild! A big thanks to Ben and the rest of the Master of Malt crew for asking me to participate in this endeavor! What? 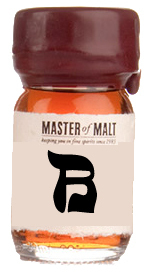 You don’t know who the Malt Maniacs are? They’re basically the founders of online whisky geekery & dorkdom. With over 30 members in more than 15 countries, these guys are the who’s who, the big-whigs, top-dogs, head-cheeses of whisky tasting and reviewing. Over a period of 4 or 5 weeks these folks tastes 262 blind samples and from those samples they created this awards list – enjoy and respect!